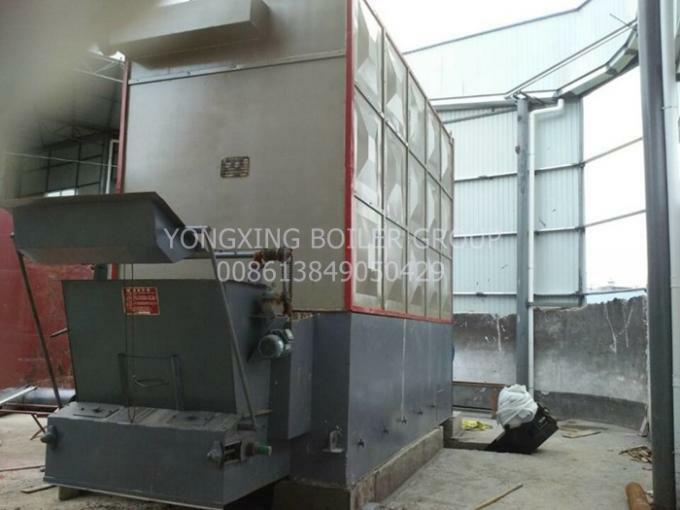 The horizontal Wood Fired Thermal Fluid Heater is a horizontal multi-return tubular heat-conducting oil furnace. The dense-row radiation heating tube is arranged in the furnace. The left and right sides of the furnace are equipped with dense convection tube bundles. The light chain stove is used to realize the mechanical addition. Coal, equipped with blower, induced draft fan for mechanical ventilation, and equipped with scraper type slag machine to achieve automatic slag. The front and rear arches of the horizontal coal-fired heat-conducting oil furnace adopt a new energy-saving technology furnace arch. The fuel falls from the coal hopper to the grate, and after entering the furnace, the flame is refracted through the rear arch and is turned upwards through the combustion chambers on both sides of the body. The cigarette case is then folded back into the inner tube bundle by the front smoke box, and then passed through the rear smoke box to enter the economizer, and then drawn by the induced draft fan through the flue to the chimney to the atmosphere. 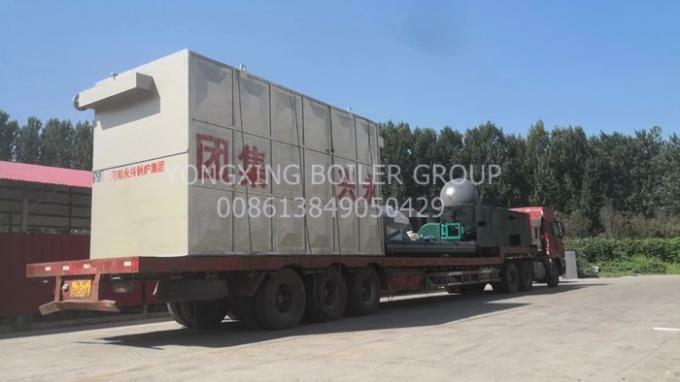 Horizontal chain coal fired hot oil boiler is a new type of special boiler with heat transfer fluid as heating medium. With low pressure and high temperature operating characteristics. 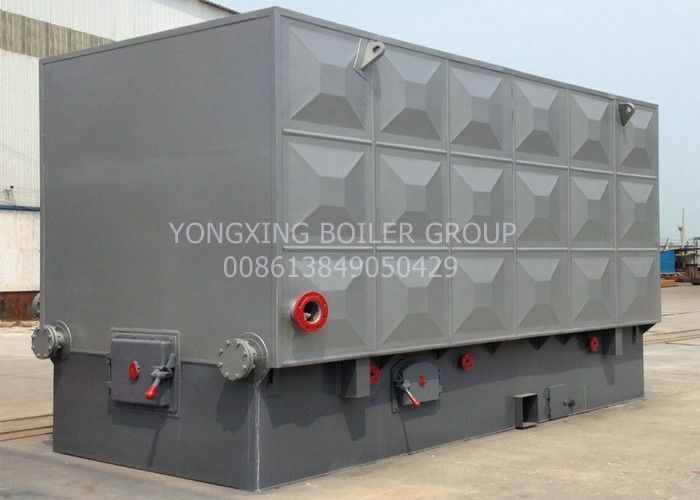 With the development of industrial production and the advancement of science and technology, horizontal chain coal-fired heat-conducting oil furnaces have been continuously developed and applied. Although the working pressure of the horizontal chain coal-fired heat-conducting oil furnace is relatively low, the temperature of the heat transfer fluid in the furnace is high, and most of them have the characteristics of inflammable and explosive. Once leakage occurs during operation, it will cause fire, explosion and other accidents, even Resulting in casualties and property damage. The heating medium heating furnace is based on bituminous coal, light oil, heavy oil, flammable gas, waste wood and sanding powder. The hot oil or molten salt is a heat carrier, and the direct-flow special industrial furnace is heated by a circulating pump to force the liquid phase to transfer the heat energy to the heating device and then to the heating furnace for reheating.